Howard L. Katz – Coveler and Peeler, P.C. Mr. Katz is a co-founder, with Frederick Coveler, of the law firm Coveler & Katz, P.C. in August 1988. He has recently taken retirement and now serves as Of Counsel to the firm. 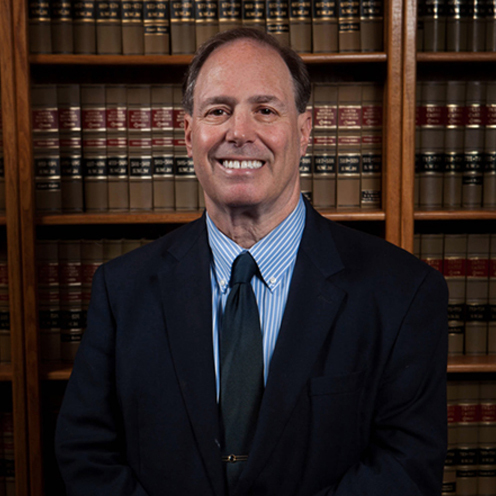 Throughout his legal career Mr. Katz has been involved with the “old” fire districts and emergency services districts. He has had the privilege of helping create over 30 ESDs and has represented twice that number over his career. Some of the most gratifying work Mr. Katz has done has been working to ensure the best emergency services are provided to the residents of the various districts and the fire and EMS personnel who provide the heroic services to their communities have the equipment and safety protections necessary to do the job. In addition to working with ESDs, Mr. Katz also has worked extensively in the areas of probate, real estate, business and banking. Mr. Katz was admitted to the State Bar of Texas in 1982. Additionally, he is admitted to practice in the United States District Court, Southern District of Texas. Mr. Katz is one of the original organizers of the State Association of Fire and Emergency Districts (SAFE-D) and has been a frequent speaker at Safe-D events since its inception. He has also worked on related legislative matters for the benefit of the organization, the state ESDs and fire and EMS personnel. Mr. Katz received his Bachelor of Arts (History) in 1978, from Hunter College in New York City and received his Juris Doctor from Temple University in Philadelphia, Pennsylvania in 1981. Mr. Katz was born in New York City, and has lived in the Houston area since 1982. He has been married to Cindy (a Rosenberg girl) since 1987. They have a wonderful daughter, Chelsea, who is a news reporter. After his family and the law, his interests are baseball, travel and old movies.